Click here to read the letter! Registration is open for the 9th annual Iron Run half-marathon and Charcoal Challenge 5k run/walk. We hope to see you on Saturday, June 8, 2019 at Pine Grove Furnace State Park. Early registration ends on May 13. After that, you can register online until Monday June 3, or on-site the morning of the races. We cannot guarantee a race shirt if you register after May 13. Online registration & payment makes things much simpler for this volunteer-organized fundraiser event: see http://www.RunReg.com/8589 for the half-marathon run, and http://www.RunReg.com/8590 for the 5k run (or walk, if you prefer). Same-day registration opens 6:30 AM; half-marathon starts 7:30 AM; 5k starts 8:30 AM -- all at the Furnace Stack Pavilion below the park office. If you cannot register online, please mail this form plus payment to the address shown on the form. More information can be found on RunReg.com under “Event Notes.” Course maps are here for the half-marathon, and here for the 5k. This event is hosted by the Friends of Pine Grove Furnace State Park. All proceeds stay at Pine Grove Furnace to support our wonderful park. The 2019 Iron Run & Charcoal Challenge will be Saturday, June 8. Please check back in late February for registration information.Volunteers are needed, if you can help with our annual fundraiser for the park, please email PGFvolunteers@gmail.com. 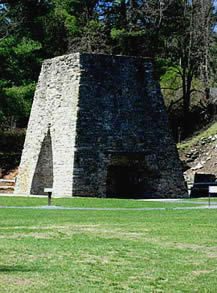 Remember your visit to Pine Grove Furnace. Special items for sale to benefit activities at the Park. Click here! 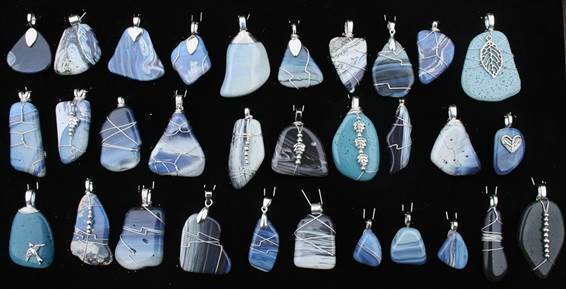 NEW ITEM FOR SALE: JEWELRY MADE USING IRON FURNACE SLAG! Pine Grove Furnace State Park. The development of interpretive displays. Click here to view our newsletters and other publications. Click here for board meeting minutes archive. Click here for park brochures & history information. Click here to download the Friends of Pine Grove State Park membership form. Click here to submit membership fee or make donations to Friends of Pine Grove Furnace State Park. If you are having problems with this site, please click here to email the Webmaster.